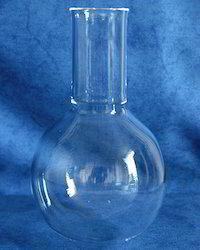 Boiling Flasks, round or flat bottom. 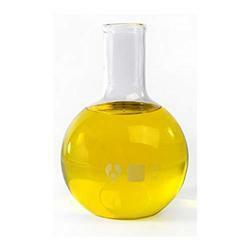 We are successfully engaged in manufacturing and supplying a wide gamut of Boiling Flask. FLASKS BOILING FLAT BOTTOM "LABGLAS"
Keeping in mind the ever-evolving requirements of our prestigious clients, we are offering a wide range of Flat Bottom Boiling Flask. Sizes available from 5ml to 5000 ml. We are a Leading Manufacturer & Exporter of boiling flasks which are used for various applications in labs and industries. These flasks are designed to with stand higher temperature. Our flasks are compliant with all the norms specified by the institutes. These glasses are unbreakable and made from quality materials. - Capacities available 5ml, 10ml, 25ml, 50ml, 100ml, 150ml, 200ml, 250ml, 500ml, 1000ml, 2000ml , customized sizes available. - Available in with joint / without joint. We are counted among the prominent manufacturers, suppliers and exporters of superior quality Flask Round Bottom. These flasks are manufactured using high-grade borosilicate glass, which is sourced from the authentic vendors of the market. Clients can avail these 45 flasks in different sizes from 5ml to 10000ml. Flat base for free-standing on benches, hotplates etc. with white enamel marking spot. Supported by well-informed experts, we are offering an extensive range of Boiling Flask. We offer this product at nominal costs.